Get ready for a nostalgic drive, for am taking you to the memory lanes of our childhood days. We all have plenty of fond memories attached to those bygone days. Apart from school, one major work we used to do as kids was to play, play and play whether its indoor or outdoor. The outdoor games have almost become extinct now, thanks to the busy and hectic lifestyle. And we hardly find any unoccupied plots or open grounds like earlier. 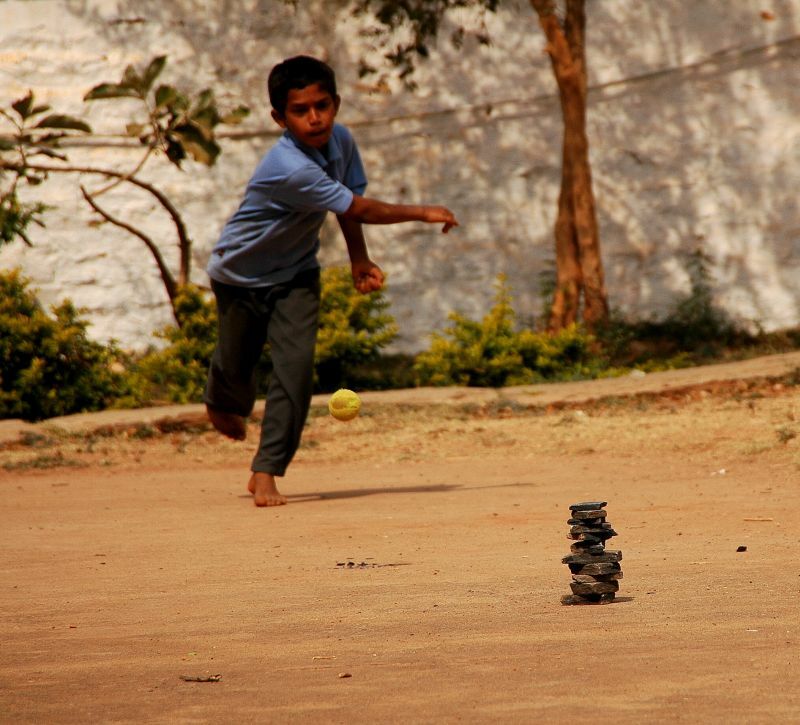 These are in fact, the forgotten games, the traditional Indian games which today's kids hardly play and can never connect to. However, here is a small attempt to revive those lost childhood games which we used to play and enjoy as kids. Next in the series is Lagori . It is called by different names in different parts of the country like Pittu (Haryana), Yedu penkulata, Dikori or Pittu (Andhra Pradesh), dabba kali (Kerala),"ezhu kallu) Tamil Nadu), sitoliya (Rajasthan), or satodiyu (Gujarat) etc. 1. Two teams of equal players are to be formed. One team is Hitters(A), the other team chases(B). 2. At the start of the game, a stack of seven stones is piled up at the center of the field. A player from one team tries to hit the ball from a distance(after a crease line) with the aim to knock down the pile. A player from the opposite team stands as a wicket keeper beyond the pile at a convenient position to catch the ball. 3. Each player gets 3 chances to hit the pile. If the player(A) hits the pile and the opposite player(B) catches the ball, the entire team is out and the teams switch places. 4. If the player (A) hits the pile and the B team player doesn't catch the ball, the real game begins. 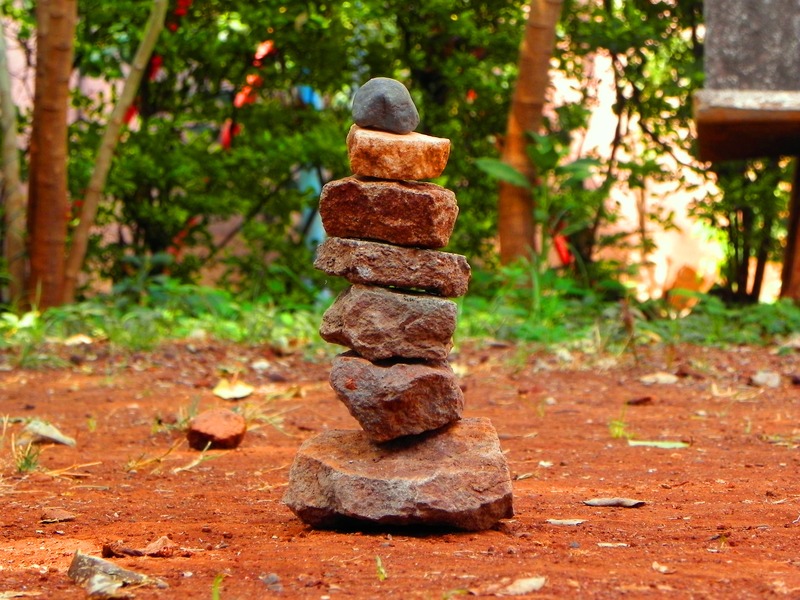 Now the aim of the A team is to rearrange the stack while of the B team is to fetch the ball and try to hit the A team players thus making them 'out' so that they don't succeed in rearranging the pile of stones. 5. The players(A) who get 'out' have to stand out of the team while the remaining members continue their stint with rebuilding. 6. If the team A manages to rebuild all the stones they win, and if the team B manages to hit all the players 'out' before re-stacking, they win. Each winning team gets one point. 7. Once the re-stacking is done, the team calls out 'Laogir' 3 times or trace the circle around the pile 3 times with fingers. Trivia: while the game involves a lot of skills - throwing, evading the ball, distracting the opp team, re-building strategy etc. the major smart move still vests with the player who hits the pile initially. He has to hit the ball skillfully so as to disrupt the pile as little as possible, preferably only the top most stone. If you aim the pile with a powerful direct hit, smashing all the stones scattered in all directions, then you are in serious trouble!! Also, the throwing should be as such, the ball travels a farther distance, so that you get enough time to rebuild, while the other team fetches the ball. Do share your experiences if you have played this game. Tune in for more such games!